Zoning laws, also known as zoning ordinances, define 1) what types of land use is allowed for a given area and 2) building regulations such as maximum building size or the need for fire escapes. If you’re starting a business, you need to be familiar with the zoning laws that cover your building and area. Floor to area ratios (FAR), e.g. you must allow for walking space, etc. Do you need more advice on zoning laws and other legal questions? LawTrades offers help to get your business up and running and keep it in good standing with ongoing compliance support. Click Here for a one-month free trial. The first step in understanding how zoning and building codes will affect your small business. Find the GIS mapping system of the appropriate jurisdiction for your county. Many counties and cities are offering these online today, and all you have to do is find the right maps and layers. You can often do this by typing “zoning for your county name” in Google. Find the piece of property or land you are interested in and see what the zoning designation is. Residential Have to apply for a Home Occupation permit, or something similar. to run business out of home. No commercial buildings are allowed. You can run many types of business out of your home however there usually restrictions. For example in New York City there is a limit on the size of the business area of a home and certain businesses like public relations or beauty parlors are not allowed. Commercial Allowed to erect buildings for business and conduct business operations. Often there are subtypes of commercial zones such as office building or retail. Industrial Can erect buildings for certain businesses and conduct business operations with higher noise levels and waste. There are often subtypes of industrial such as light manufacturing or chemical intensive. There are usually strict safety and environment codes associates with these zones. Agricultural Generally, for farming. Restricts non-agricultural use and development. Historical Mostly homes or building districts over 50 years old. Allow businesses, but have to keep buildings as intact as possible and only certain changes and renovations can be made. Aesthetic Most prominent in cities. Allows some businesses, but requires buildings and businesses to abide by certain color schemes, landscaping requirements, building restrictions (decks, etc), and more. Sometimes, a property may have multiple designations, like Residential-Commercial or Commercial-Residential, also known as zoning overlap, which allow owners or occupiers of the opportunity to use it in either way. If you’ve figured out what zone you’re in, congratulations, you just completed the easiest part of the process. Now it gets hard. Most zoning regulations have evolved over a great deal of time through very specific legislation targeting specific city sectors. So most areas have very complex regulations. Just to make it even harder most municipalities have adopted their own shorthand for referencing various allowances and restrictions. You need to cross reference zones with allowance categories and then check on any specific variance to that unit or area. The first step is to map your zone to allowed uses. 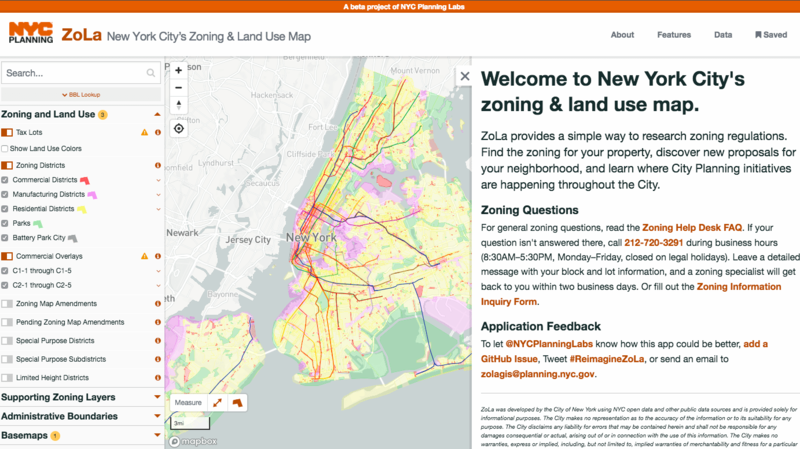 For example in New York you find the Zoning District for your zone. You then look up the uses allowed for that district. You then look up the Use Group definition. Here’s an example of “Use Groups” in NYC. It’s buried in a Zoning Resolution. In addition to the base classification there may be special designations allowing or disallowing specific uses. Sometimes, searching online is not enough. You may need to visit the county recorder’s office to check the covenants for a neighborhood or lot. Whether you’re building a new building or altering an existing building you need to know the building requirements for your zone. For example zoning laws might dictate a certain Floor Area Ratio (FAR) which is the maximum amount of building square footage for a given lot size. 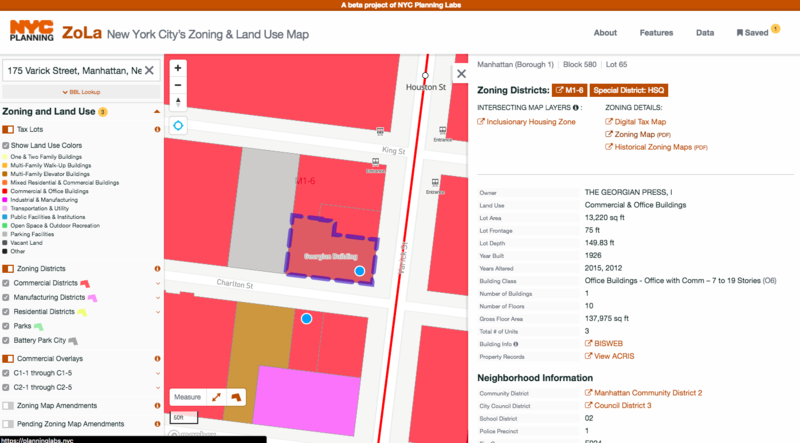 Building zoning laws also cover areas such as parking, walkways – internal and external, required setbacks or distance from the street, and number of rooms allowed. Building administration, e.g. licensing, maintenance, etc. Plumbing codes, e.g. fixtures, water heaters, sanitary drainage, storm drainage, water piping systems, etc. Mechanical codes, e.g. ventilation, boiler and water heaters, solar systems, etc. Fuel gas codes, e.g. gas piping, chimneys, appliances, etc. 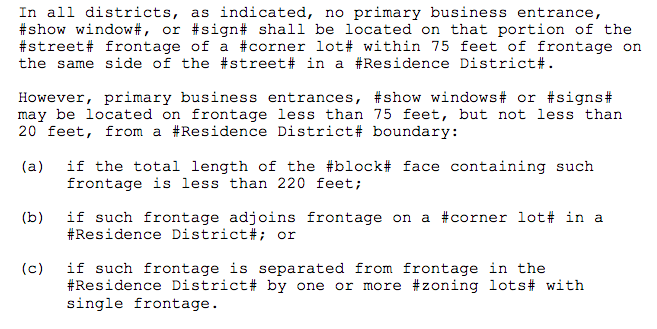 General building code, e.g. interior finishes, fire protection , exits, building materials, etc. Check the jurisdiction’s permit database to see if any construction has been done on your space since 1990, when the ADA went in effect. If not, you or your landlord may be responsible for bringing the space up to code. If your building or altering a building there’s going to be a slew of permits that you need to acquire. This process may also include a chance for those in the area to challenge your building plans. If there are any permits in process or approved before you acquired the property but have not built yet you may be required to finish those projects as well. In addition to any municipal regulations you may be subject to land developer restrictive covenants. This is especially true for leased properties. The developer of the property may have restrictions on what you can do including signage, aesthetics, parking, etc. In general while it’s good to know what’s in the zoning and building codes your best bet is to work with a licensed contractor who is familiar with building regulations and necessary permits for your zone. Most cities and counties also have separate sign ordinances written into the zoning code that you have to comply with, even if you are in a commercial zone. If you are considering space in a historic office building, the modern sign that you’ve designed for your brand may not be allowed. Sign companies consult these codes when applying for permits, but you should too before signing leases or purchase agreements. Check with your county recorder and zoning committee for more details. If you’ve combed through all the databases and still aren’t sure what you can or can’t do, it’s time to make a phone call or take a trip to an office. Most planning and zoning offices have analysts available during business hours to answer questions about permit applications. Some jurisdictions will also have record centers available, where a technician can answer questions and even do the research for you. Never hesitate to ask a question. Not asking questions upfront will lead to more headaches, wasted time, and unnecessary spending down the road. But when in doubt get professional help. For more information on hiring a general contractor check out our article on it. You’d hate to get far into your planning or even start a move or construction only to find out that your out of compliance and all of that work was for naught. Don’t forget to check out LawTrades if you need help understanding zoning laws and for other business legal needs. They will match you with a dedicated attorney to meet your needs. Plans start at $50 a month. Get started with a one month free trial. I live in a agriculture area and I have a neighbor that built a big pole barn within 100 ft of my house and he has all kinds of boats in his years and signs at the road that he is open for business is it legal to be that close without my permission and not have insurance to cover my property. He is working on gas engines. 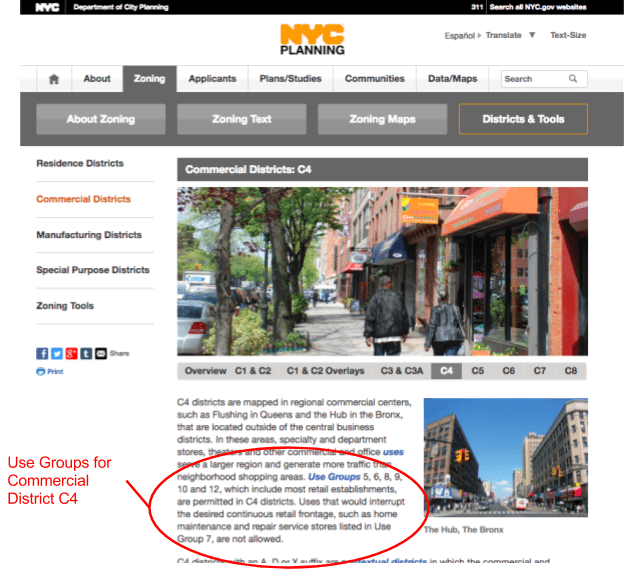 To answer your question, you’ll want to go to your local planning department and look at Zoning maps. You’ll also want to talk to someone there about what options you have to protect your property value. However, zoning doesn’t affect insurance. If he’s running a business he should have liability insurance on the property. We hope answering your questions can prevent any neighborly issues! Your best bet is to go (in person) to your local planning department and talk to one of their zoning experts. They can advise you on what can and can’t be done locally, what kind of permits you would need, or documents you might need to file to change the zoning. Like any business dealings, finding the person in charge (and making nice with them) is the best way to get insider information and tips! Hello, I live in a residenal home, the neighborhood is zoned for commerical. 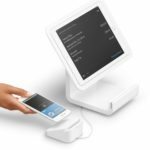 Im starting a small business and want to know if that will change the home to commercal property? I also only rent the home. The good news is you should have no trouble running a business if the home you rent is in a commercial zone. Your home (rental) is already in a commercial zone. Unless the owner of the property requests that to be changed, it remains commercial. That’s good news for you. It should affect nothing unless your landlord chooses to raise your rent now that you’re running a business there. I’m looking to begin a mobile salon business in which I’d be traveling directly to my clients homes. How can I gain information specifically to residential zoning and if I am able to conduct my business from inside my RV, on location. Are there specific rules and regulations to follow? If you could point me in the direction of finding this out, that would be perfect! My gut tells me that local zoning wouldn’t apply since you’re a mobile business (not in a physical location). 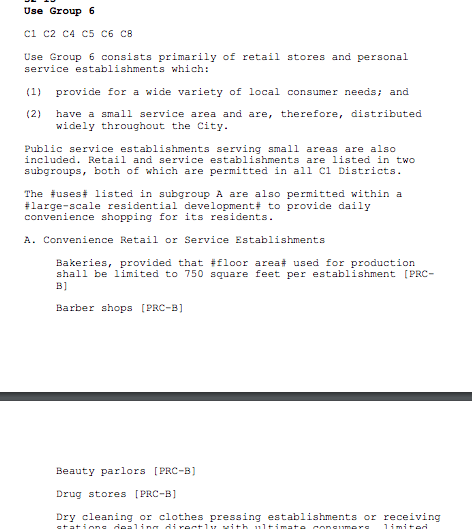 But to be safe, go you your county planning department and ask them that question just to be sure your town doesn’t have any ordinances against mobile businesses salons, pet grooming or food trucks. If i own 2.44 acres and it is zoned agricultural and residential.I want to build utility trailers and agricultural implements.can i?The neighbors called code enforcement and he came twice,and he said yes you may.Because you fall under agriculutural with your planned business.You just need to fill out a certificate of land use compliance application.Lady at planning department said no you need a home occupational application.is this true?who do you believe? It’s not uncommon for government entities to disagree. You are likely going to need an attorney on your side to sort this out and get the proper permits or licenses. Here are two articles that may help.